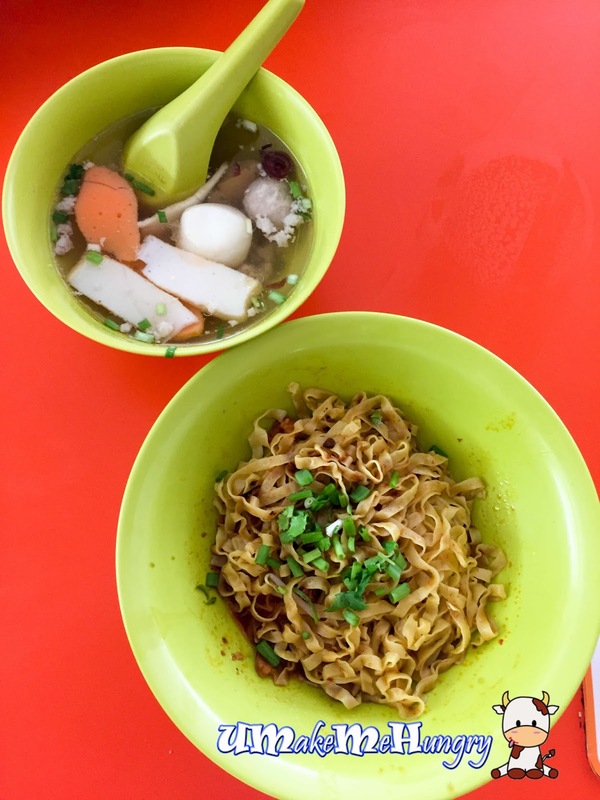 Taking the weekend mornings, we headed into the East of Singapore and into Bedok Hawker Center to check out what they have. I was amazed by the number of stalls closing on a Saturday morning and like the usual scene of a Hawker Centre, it was still packed with people. 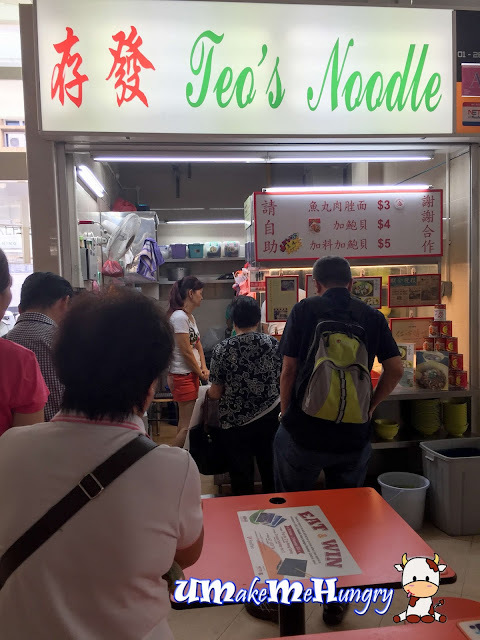 After making a few rounds in the Hawker Centre, I decided to join Teo's Noodle Queue, hoping that the choice that majority made will be a great one. It took us about 20 - 30 minutes of wait before we could get our 2 bowls of noodles. Teo's noodles is special in the sense that if you are ordering big bowls of noodles from them, you are entitled to a few clams. The clams are from New Moon brand where quality is definitely assured by this reputable company. 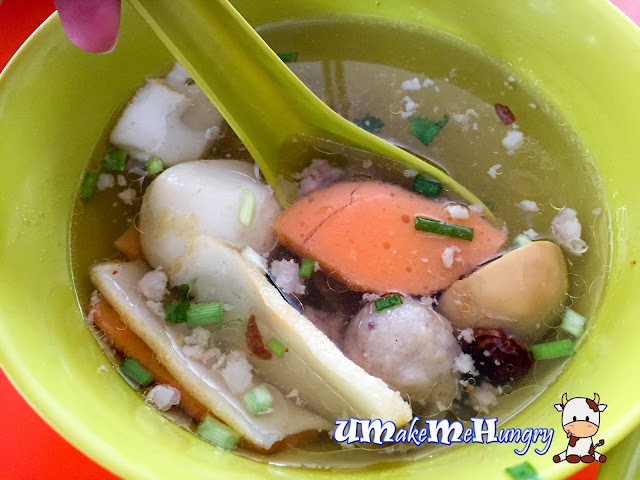 The smaller portion of the Bak Chor Mee is pretty average, however the amount of ingredients we had on the bowl of soup includes button mushrooms, orange and original fishcakes, fishball, meat ball with a substantial amount of minced meat sinking to the bottom of the soup. If you want to add clams, you can upgrade the small portion into the medium at $4 per bowl. The bigger portion looked more promising and of course with a higher price paid. Generally the noodles were covered up by the good use of minced pork with a few clams making my $5 worth. The difference in size and ingredients were visually spell out when compared to the default bowl of noodles. The soup that comes with the bigger portion has 1 more meat ball and perhaps a few more slices of fish cakes. Overall, the style of the noodles may be a little different but still worth the one-off experience I had. I would not rate it as the best Bak Chor Mee I had but I still think its a bowl of simple and comforting food to the heartlanders.